Alison Jay Has the Floor! 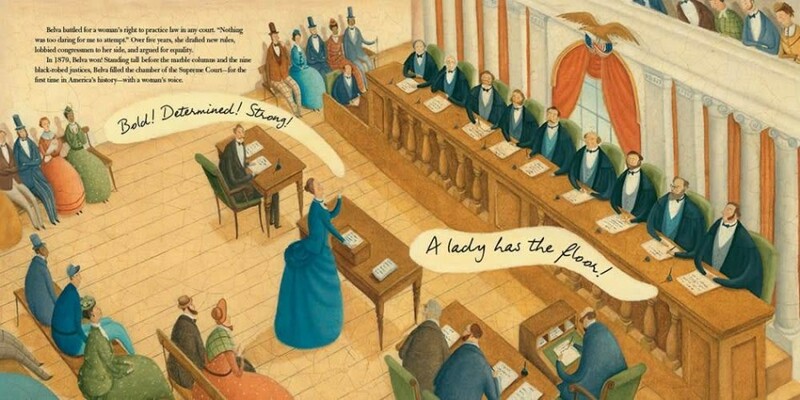 We are pleased to announce that the Amelia Bloomer Project has selected 'A Lady Has the Floor: Belva Lockwood Speaks Out for Women’s Rights' as one of the titles to be honoured this year on the Amelia Bloomer List! Beautifully illustrated by the sublime Alison Jay, it fully deserves this wonderful recognition! Previous Flying High with Alison Jay! Next Alison's Plea for the Bees!